“There are four, or five foreclosures on our street,” I remember Nelson saying, but then again he might have said five or six. I had just finished off an It’s‐It (an ice cream‐cookie sandwich) and in all the excitement, and over time, I’ve kind of lost track. Pretty sobering stuff, this mortgage crises (unless it drives you to drink). then controlling it’s borders.) Coincidentally, I had just started reading The Grapes of Wrath in which Steinbeck recounts the mortgage crises that uprooted legions of farming families. Once proud, these families were treated worse than dirt, according to the ladies of early morning radio (and Steinbeck, not to be confused with Glenn beck). (paraphrased & summarized, please forgive me, but I think I got the tone about right; verbatim about falling into the ocean). California hasn’t imposed tough emigration laws on itself.) And as California goes, so goes the rest of the nation. But, I’ll cut myself off before I subconsciously start parroting talk radio. Too bad Steinbeck isn’t still around – there’s a lot of Pulitzer prize material to write about these days. Finished The Grapes of Wrath a few weeks ago. Fine story, but it bears little similarity to my life. Those poor Okies lived out of their truck, moved frequently, ate poorly, struggled with good hygiene, were hassled by cops, and townfolk viewed them negatively. Still, for some reason the more the story fades from memory the more upbeat I feel. Split Tail Swallow. 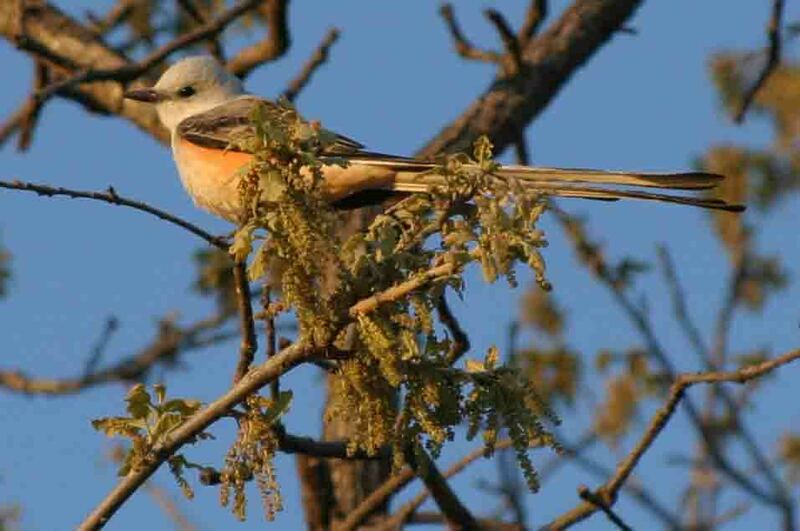 Oklahoma State Bird.